So out of the box, the J524 had a soft coding value of 2E10, so many levels of wrong. We tried coding it to 0400 but it was rejected. Cycled ignition, hook up a battery charger, no luck. As per Dana's suggestion, make small changes and see if that helps, so we tried 2E00, still rejected. Asked if there was a Workshop Code (WSC) and Importer number values shown, there was (I didn't note the values that were there). Some brief base knowledge is needed here... every VW/Audi dealer has a "Workshop Code" or WSC. It is a 5 digit value. The factory scan tools at the dealers have said dealer's WSC and Importer number set up in it. Any time a control module is coded, the factory scan tool also submits the dealer's WSC/Importer to the control module. Control module wants this info. Now this WSC/Importer has no effect on the module beyond the module wants it when doing soft coding... the control module will still perform all the same no matter what WSC/Importer number it ends up accepting. 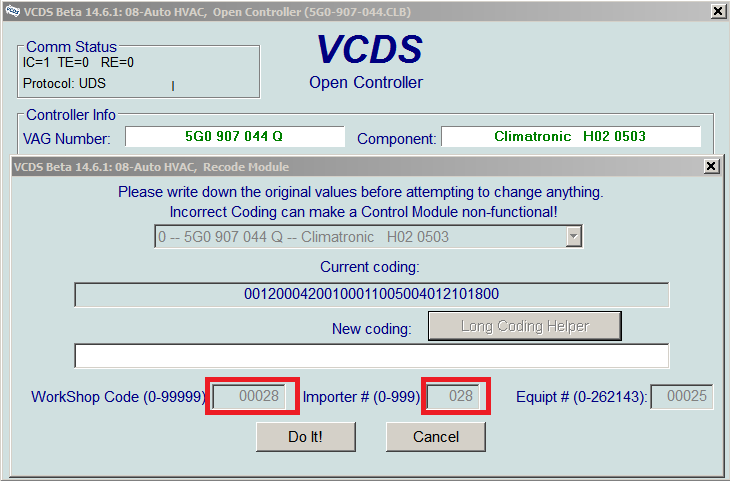 The VCDS software has a "stealth mode", in which if the VCDS software finds a non 00000 number for the WSC and non 000 for the Importer, it will resubmit those values. If the values are 00000 and 000, then the software will suggest 12345 and 123. So here is the problem, this brand new J524 had some WSC/Import values in it, and when VCDS was resubmitting those values during the soft coding, the control module would reject the coding, error 31 as I recall. I had the caller go the first screen of VCDS, then [Options] and [User Interface and Identification]. 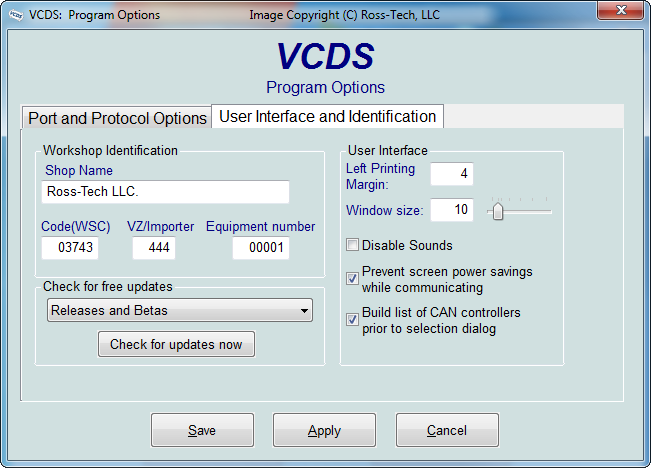 On that screen, dealer techs can set up their VCDS software to have their dealer's WSC info (03743 in the above example) in there and submitted every time they do coding, just like the factory scan tool would. So I gave the caller the WSC for the dealer I worked for. The importer in the US market is always 444. The Equipment Number doesn't matter too much.. dealers can have several different OE scan tools and assign them numbers..... we went with 00215. So with a valid WSC and Importer now being submitted during soft coding, the J524 accepted the correct 0400 coding value without issue, and all codes cleared out. The 403099 is the WSC, but scan tools use a 5 digit version, so drop the first digit 4 and you are left with 03099 as a valid WSC. In the US market, one could most likely use your own ZIP code as a WSC since it is 5 numbers. Canada... WTF is "J4G 1R7"? Maybe use the last 5 digits of your phone number. TL/DR - Replacement control modules for newer generation vehicles may have a Workshop code in them, when that value is resubmitted during coding, the control module will reject your valid soft coding. As always, I don't make typos, I just plant Easter Eggs that I'm not aware of. Jeff: Great information as ususal in all your tutorials- thanks! What's your view about thieving a WSC/importer number from the Open Controller screen on another control module in the car? The fact that a great array of numbers can be accepted (albeit within some parameters) suggests that role of WSC/importer isn't that restrictive - Why have them at all? Or is this a badly implemented attempt by the VW mother-ship to bolster the role of their service centres? Last edited by DV52; 01-20-2016 at 06:54 PM. The control module itself doesn't care much about WSC/Importer other than it wants that XXXXX/YYY value when doing the soft coding. So if you use the WSC as found in the Muffler Bearing Module and use it during the coding of the Blinker Fluid Heater Module, no one but you will know. At the end of the day, it is just some numbers that don't effect the behavior of the module beyond it accepting or rejecting said numbers when doing soft coding. What is the purpose? I think it is a left over concept from years ago... in its current form, diagnostic cars have been with us since 1990. I would guess that back then, dealers were not networked together like they are now. If dealer A replaced a control module and coded it, the module now has dealer A's WSC stored in it. If the car went to dealer B, they have some proof that something happened at dealer A. These days it wouldn't matter, dealers are all on the same network, they can pull up warranty history of a car on the fly. 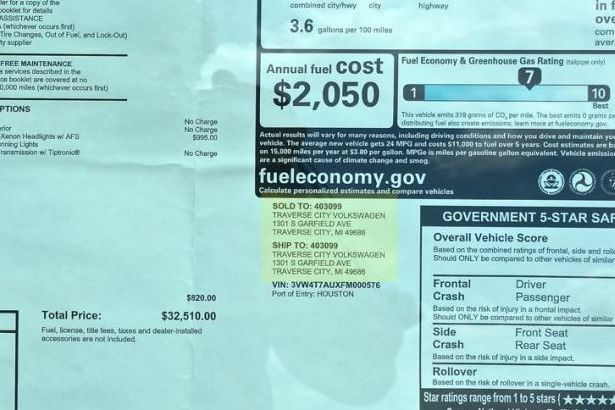 Had a recall done in Ohio... every dealer in Texas can run the VIN and see it was done by said dealer in Ohio. I don't see the point in it anymore. But I'm sure whoever is keeping it alive is also a person who doesn't work on cars, and can't even check tire pressure. I'd also say this is the same person who doesn't want anything but the factory scan tool to work with our cars, so insist that modules start rejecting that 12345 WSC that Ross-Tech has been telling people for years to use. 54321 chump... accepted. It was originally done to track the tech or tech group that installed a replacement module or preformed work in that specific dealership. At one time in the very beginning it was used for warranty auditing or crash investigations and still is. Modules also contain other unique Fazit data such as date, serial # etc. to identify in the event or referenced as "damage codes" or "vendors cartouche identifiers". Auto-scans will be the easiest way to get a WSC, Importer #, and tester #. Hello - newbie question on J540 replacement on an Audi A4 2009 - I have another (used) J540 pulled from another car that I may need to swap/replace with mine - Display Console is alerting "Electronic Brake malfunction" and dealership claimed it was the EPB module - I bought VCDS (no real experience with that yet) since I do not want to spend 5x more with something I believe I can do - but since I do not want to damage my car brakes in any way, I was wondering if you could help with some extra guidance what kind of coding and steps I should do to make sure the new EPB (that is used and may have some pre-coding info I need to erase) can be fully replaced and if I face any issues if I can simply revert to the old one. Thanks. Please start a new thread in the Car Repair section, and post an Auto-Scan from the car with the old J540 still installed.